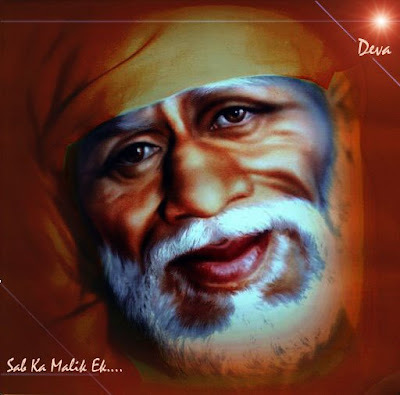 I need links for shirdi sai baba online movie either in Hindi or Telugu. Telugu - Shirdi sai baba Mahatyam by Vijaya chander. I found the links in some sites but those are not working. I am longing to watch this movie for a long time. Baba, Chalo mere saath, raho mere saath!!! Follow the link below and scroll down a little....U can find "Sri Shirdi SaiBaba Mahatyam"
JAI SRI AKHANDAKOTI BRAMHANDANAYAKA RAJADHIRAJA YOGIRAJA PARABRAMHA SRI SATCHITANANDA SAMARTHA SADGURU SAINATH MAHARAJ KI JAI!!! BABA CHALO MERE SAATH, RAHO MERE SAATH, MUJHE AASHIRWAAD DO!!! Thankyou kavitaji for your blessings. I am very happy to recieve your sweet blessings as my day starts. Baba bless you and be with you always. Jai Sai Ram, dear all, I went to below site and could not find hindi version. If anyone is aware of Sai baba hindi movie link - do post it. Sai bless you ! "Abandon all varieties of religion and just surrender unto Me. I shall deliver you from all sinful reactions. Do not fear." Love All , Serve All. i stored in my system. Please share your experiences with baba in the related sections. Baba bless you always. om sai ram. Page created in 0.37 seconds with 64 queries.